A P51 approaches the beach in Conneaut, OH. This past weekend I saw the new film “Red Tails” at the movie theater. The critics have not given it many good reviews, but I enjoyed it. The film tells the story of the Tuskegee Airmen, the group of African American fliers during World War II who proved themselves to be among the best fliers there were. The title, Red Tails, relates to the paint scheme they chose for the P51 fighters that they received after flying older, slower planes until given more meaningful assignments. In 2007 and in 2010 I took photos of a D-Day Reenactment that is done in Conneaut, OH every summer. 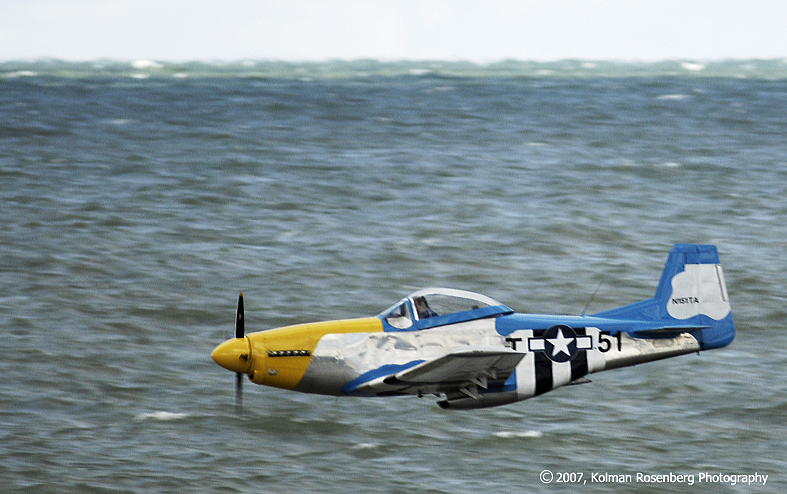 During the 2007 reenactment I got some fantastic photos of a P51 as it did a simulated strafing of the beach, held by German reenactors prior to the Allied reenactors’ beach landing. I was sitting high on a bluff overlooking the beach, much like Normandy, which is why they choose to do this reenactment in Conneaut. At times, I was actually higher than the P51 was. In Conneaut, the P51 had a blue tail, but it was incredible to see its speed and maneuverability as it buzzed low over the beach with Lake Erie in the background. In many of the photos, the pilot can clearly be seen as well. The reenactment is quite a site to see. I self published a book documenting the 2007 reenactment. It contains about 40 photos of the event and can be seen and purchased at http://www.blurb.com. http://www.blurb.com/bookstore/detail/226707 The book would make a great gift for those World War II vets in your life or anyone interested in P51’s, flying, warfare, aircraft, D-Day, or just an overall interest. Along with the air strafing, it documents the entire invasion from landing to German surrender. 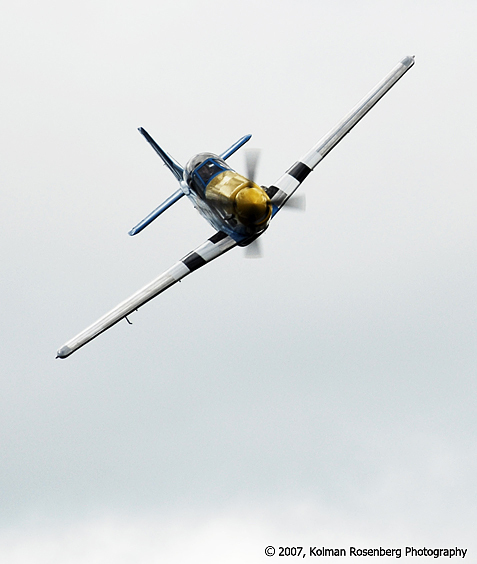 This entry was posted in Uncategorized and tagged Allied, Blurb, Book, Conneaut, D-Day, Fighter, Fly, Flying, German, invasion, Normandy, OH, ohio, P 51, P51, Red Tail, reenactment, Reeneactor, Soldier, Strafing, Tuscegee, Tuscegee Airmen, Tuscegee Experiment, world war II. Bookmark the permalink. In my opinion, it’s the most beautiful airplane ever made.